SIX is the phenomenon everyone is losing their head over! Critically acclaimed across the UK with a sound-track storming up the UK pop charts, the sell-out intoxicating Tudor take-off is back! “Divorced. Beheaded. Died. Divorced. Beheaded. Survived.” The famous rhyme becomes the basis for an upbeat new musical concert about the six wives of Henry VIII. Get ready for a histo-remix that reveals the truth about the half dozen queen bees who were overshadowed by their notorious husband. Coming together and forming a girl band, they pick up microphones and rewrite the history books with catchy pop songs and cleverly written lyrics. Competing against each other to decide who deserves to lead the group, will they be able to agree who suffered the most heartbreak or loss? These fierce females put feminism centre stage and will change your perception of six historical figures who are typically only remembered because of their husband. With too many years lost in history, you’ll soon discover that there’s more to their personalities than simply Henry’s other half. As one of the hottest tickets at the 2018 Edinburgh Fringe, Toby Marlow and Lucy Moss have created a smash-hit musical that has been described as “‘Hamilton’ with injection of girl power” (The Times). The show originated as a student production at the University of Cambridge, where the authors, musical director, and lighting designer all met while studying. The professional premiere of the show sold a record-breaking 10,000 tickets at the Edinburgh Fringe Festival 2018, playing to sold-out audiences every night at Underbelly (within the iconic upside down purple cow!). Watch out for the Greensleeves dance breaks. Originally written as a love poem for Anne Boleyn, the Tudor tune meets nightclub rave with a techno-remix of this famous song. The all-female cast are supported with an incredible all-female band, including a musical director who looks after 88 keys, 3 pedals, 2 computers, a microphone, camera, and trigger button. Each queen is based on a mix of current pop stars. Pick up a programme to find out who! PROMOTION PERIOD. 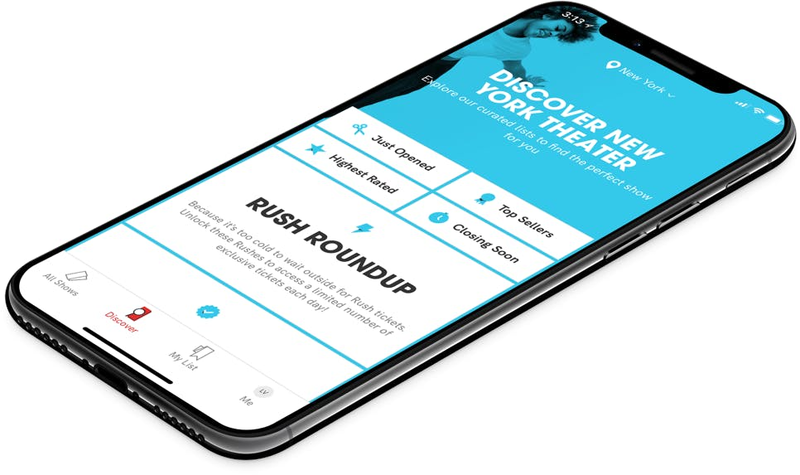 You may purchase either 1 to 2 discounted price tickets for the featured musical/theatrical performance from as soon as these are marketed within the 'TodayTix Rush' section of the app. The closing time/deadline for the purchase of such tickets is either:1 hour until the featured musical/theatrical performance; or all the discounted price tickets have been sold. In either case the 'TodayTix Rush' section of the app shall not be able to be unlocked from such point until the following date on which discounted price tickets are available for purchase through the 'TodayTix Rush' section of the app. Up to 2 tickets may be purchased for any particular performance per person.